Mark Wahlberg says it's getting harder for him to shoot stunts for his action films now he's in his 40s. 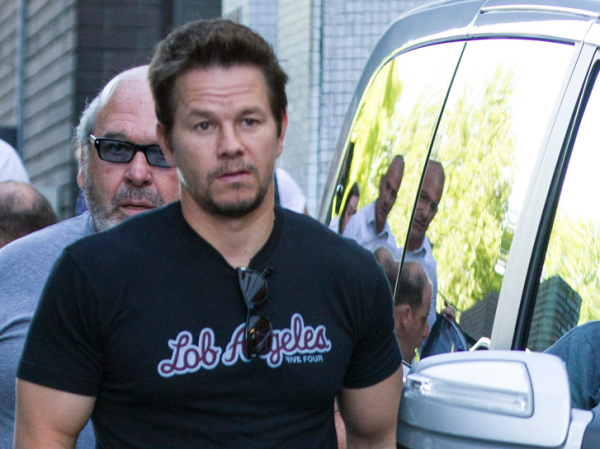 Mark Wahlberg finds action scenes more punishing now he's older. The 42-year-old actor says it’s become harder for him to shoot the rough-and-tumble movies he's known for now he’s in his 40s, and he's ready to slow down. He explained, "Absolutely [it's punishing]. After doing four movies in a row, I needed a break. I did Broken City, Pain & Gain, 2 GUNS and Lone Survivor, which is a war movie where I play a Navy Seal trapped in Afghanistan. That was the kicker. I had to tough it up, but after that I was ready to do nothing." While he now struggles with some stunts, Mark is incredibly passionate about working out and maintaining his impressive physique ? however, he does enjoy some calorific treats from time to time. He added to ShortList magazine, "I've been exercising for a long time and I feel sluggish when I don't. I have times when I stop and splurge. I went through a chocolate chip cookie phase. But I stopped that." For his role as bodybuilding-obsessed Daniel Lugo in Pain & Gain, the actor had to work hard to bulk up and reveals it was a tough process to lose all the added weight. He said, "Pain & Gain was a whole process ? diet, protein powders, supplements, 12 meals a day, weight-gain shakes. Then I had to lose the weight. I'd go out at 5 am and make someone play full-court basketball with me for hours."